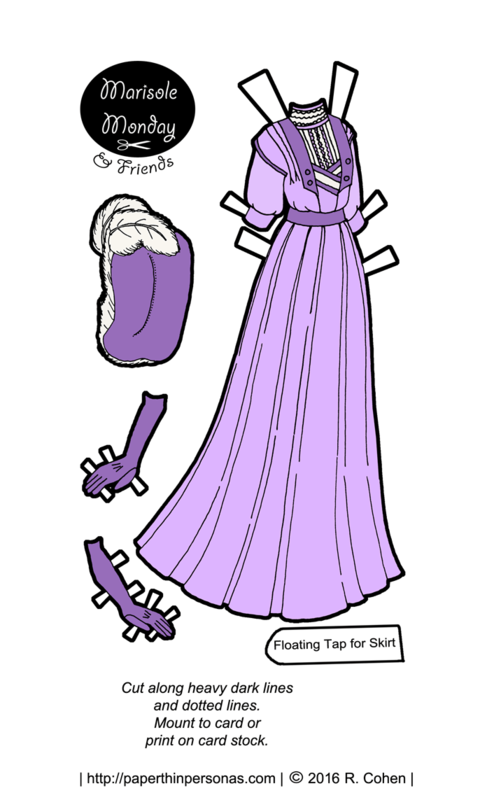 Really loving the new weekly paper doll posts. So much fun with the wardrobes and accessories! Thank you! It’s fun to do. Love the color! I wanted to vote for more than one! lol! So many of them sounded fun! Well, they are probably all going to be done “eventually”, but as you know, eventually can be like a year. I wanted to vote for BOTH Little Red Riding Hood and Marcus, because the poor gentlemen just don’t get as many outfits, but fairy tales…. So Marcus was my close second.